There are many smartwatches available on the market with the more dominant of those running Android Wear. For some people these offerings are either to flashy or possibly have to much going on that they don’t need or want to use on a daily basis. If this sounds like you then I have picked up a smartwatch that will send you notifications to your wrist while looking exactly like a standard time piece. 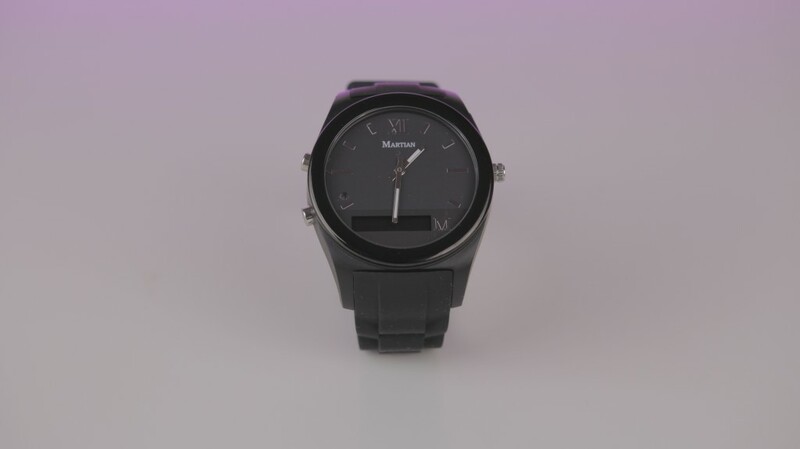 The smartwatch I have picked up comes from a company called Martian who say that smartwatches will only truly succeed when they first function as a standard timepiece and then secondly deliver rock-solid phone functionality. With that said they have released the Martian Notifier so let’s see if it lives up to their words. 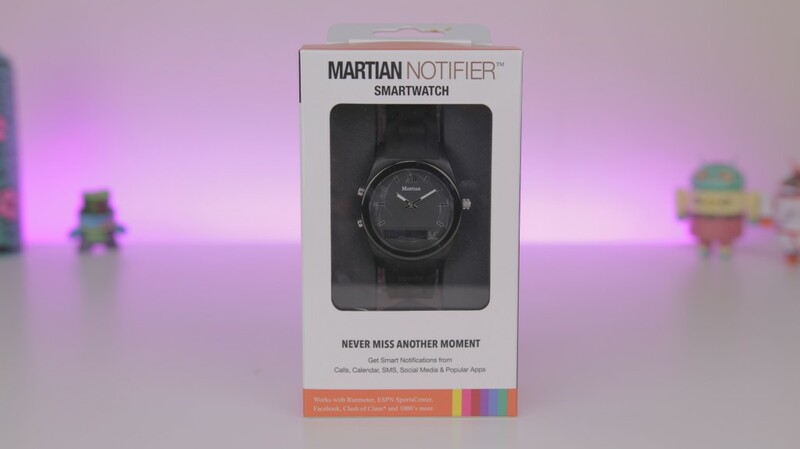 The first time I seen the Martian Notifier I was a little skeptical, for someone like myself who is always at the bleeding edge end of the tech world the Notifier to me just looked like a standard analog watch with a black bar along the bottom. 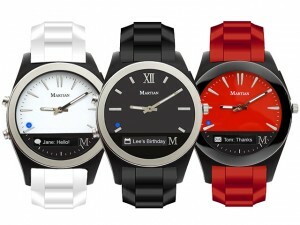 It didn’t look bad, it just wasn’t the usual big, in your face design I was used to with all my other smartwatches. So while unboxing the smartwatch I came across my first complaint, that arrived in the form of a propriety charging cable. 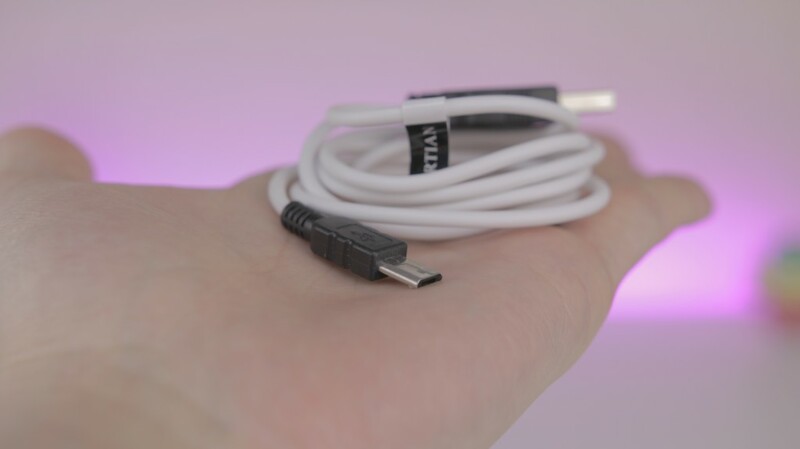 I really dislike propriety cables as it just doesn’t make for a user friendly experience due to the fact that I would need to buy another direct from the company if mine happened to break. Other than that you have all the usual items like warranty and information leaflets and of course the watch itself. 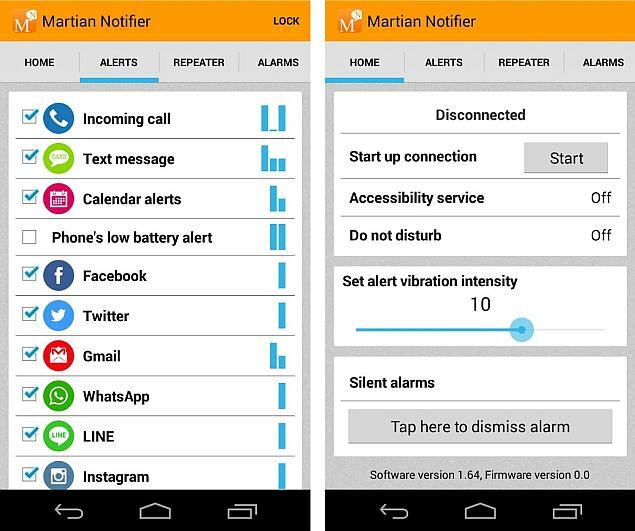 So setting the Martian Notifier up is pretty simple as you just set it up as a Bluetooth device when you download the accompanying Android or iOS app. 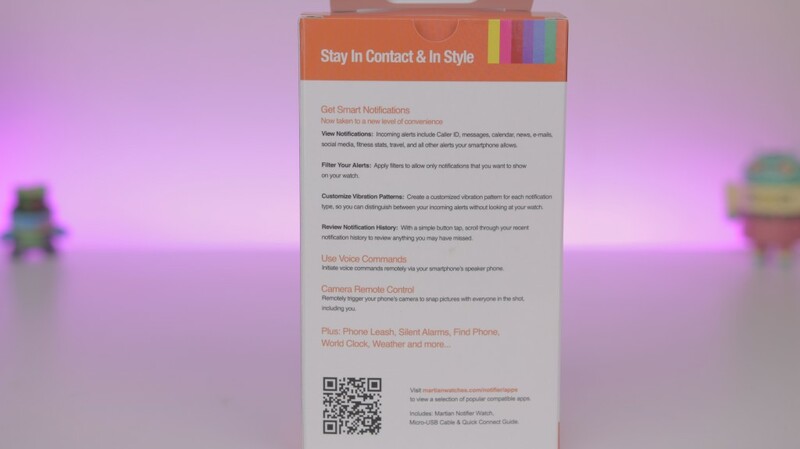 The Notifier app arrives pre-configured and out of the box you will get notifications for incoming calls, texts, calendar appointments, email, the usual social media accounts and apps. One thing that is awesome about the Notifier app is the fact that it automatically scans your device for installed apps and instantly notifies you. The great thing about this is that it doesn’t require individual developers of apps allowing the notifications so there’s no need to worry about app updates etc. Looking a little closer at the app you will see that you are able to set custom vibration patterns for each notification. This is an awesome feature but I must say there is a bit of a learning curve but it doesn’t take long to get the hand of the vibration patterns. Your notifications show up on the small OLED strip along the bottom of the watch, reading notifications isn’t really an issue just don’t expect all the features you would get with an Android Wear device. Other than that it functions like any other standard timepiece would and most people will never be able to tell you have a smartwatch. Design wise I’m very impressed, It may not look as good as the Moto 360 or LG G Watch R but at half the price one can hardly complain. If your looking for something subtle that has a bit of class then you will not be disappointed with this timepiece. Battery life isn’t to bad either especially with the Notifier running a two separate batteries. The actual watch runs from a standard watch battery that Martian say will last you up to two years. The smartwatch side of things is driven by a rechargeable battery that lasted me about 4 days on single charge which is unheard of these days when it comes to smart watches but there isn’t a lot going on here. Overall I’m very impressed with what Martian is offering. It is certainly a great product that is very well built and priced. 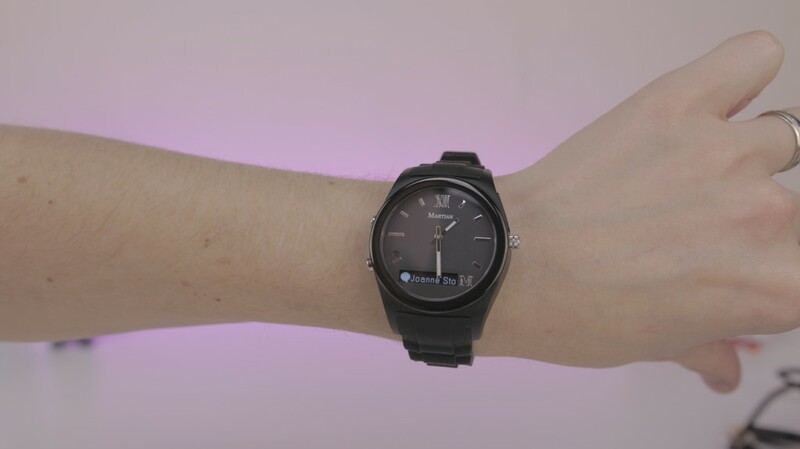 If you like the idea of a more subtle smartwatch then I would look no further than the Martian Notifier. You can check them out from the source link below, as you will see there are many colours available along with a choice of straps. Let us know what you think below.